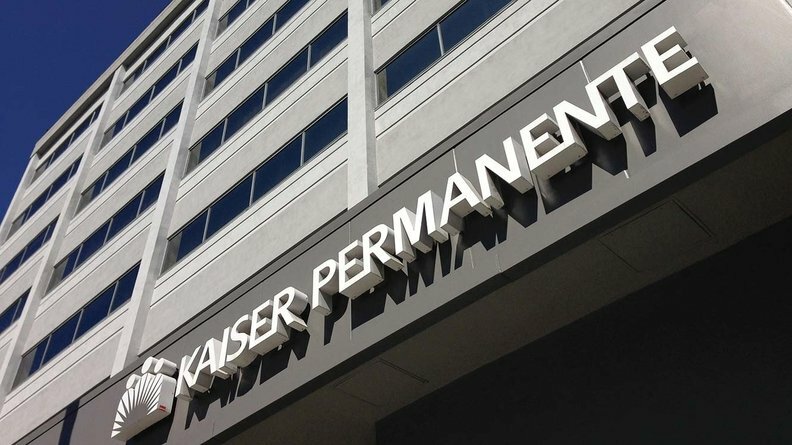 Kaiser Permanente has put in place the final piece of a multi-year strategy that would allow it to significantly reduce its carbon footprint. The Oakland-based health system giant on Monday announced it has finalized an agreement to purchase 180 megawatts of renewable energy that can power 27 of its 39 hospitals year-round. The amount of the deal was not disclosed. Kaiser's commitment will enable construction of utility-scale renewable wind and solar farms, as well as a large battery system that will be able to store up to 110 megawatts. That project will be built and operated by global utility company, Florida-based, NextEra Energy Resources and is scheduled to go online in 2020 and 2021. Kaiser Chairman and CEO Bernard Tyson projected the agreement would propel the health system toward reaching its goal of achieving carbon neutrality among all of its hospitals in California and more than 80% of its out-of-state facilities by 2020. The system began its effort in 2016 as part of an overall plan to improve its environmental stewardship. In an interview with Modern Healthcare, Tyson said Kaiser will use more than 1 million megawatt hours of green power every year, making it the largest purchaser of renewable energy in the healthcare sector. The system would be among the first healthcare providers in the country to become carbon neutral. Cleveland Clinic is still close to 10 years away from achieving that goal. U.S. hospitals are one of the world's biggest air polluters, accounting for an estimated 10% of the country's carbon dioxide emissions, according to a Commonwealth Fund study. That April study found the amount of air pollutants produced by the healthcare sector was associated with as many as 20,000 premature deaths every year. Under Tyson, Kaiser has been trying to position itself as a national healthcare leader in sustainability. Kaiser is the leading healthcare sponsor of the upcoming Global Climate Action Summit scheduled to be begin Thursday in San Francisco. Last month, the system joined fellow California providers Dignity Health, Providence St. Joseph, and Sutter Health to form the California Health Care Climate Alliance to promote for climate-smart policies related to energy, transportation, food, waste, infrastructure, and community resilience.